Grow the top out more. Try a skin fade on the sides above ears and bottom (neck). Go find a guy on Instagram with your hair type and find good pics of haircuts you like. 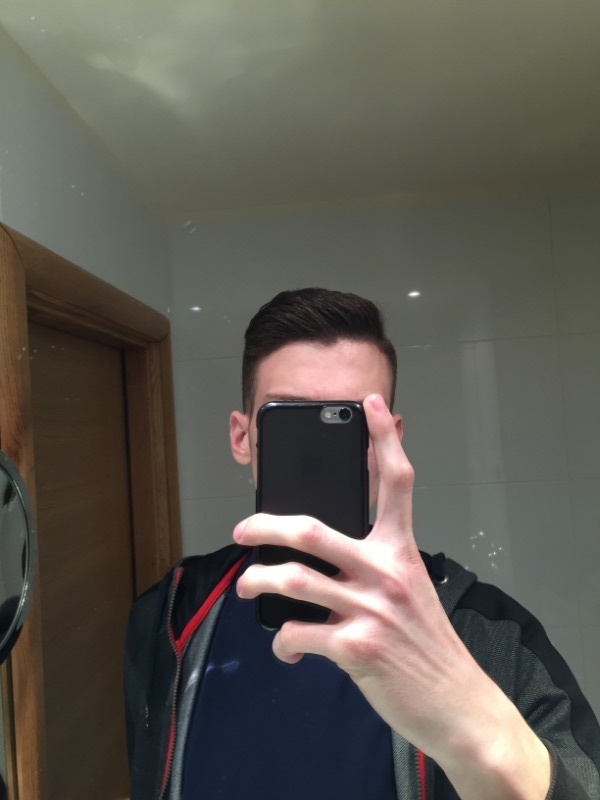 Bring the pics to your barber and tell them your goal is this haircut. They will tell you how to style it, how much you need to grow it out, etc. I'm still playing with my hair cut but it's gotten far better than it was. I think at least a year or two of trial and error is needed for each person, if not more. Looks like what @ gravytrain is saying would be your best bet, currently. Will say though, not a big fan of it being curly. Id rather you go with the military look, of the 2 styles youve got up and fade/ skin fade on the side. Can you grow any facial hair, like a 5'oclock shadow?. You definitely have a strong jawline for it. You've got a good face shape so you could pull off a lot of different looks, but I think one aspect of this which is being left out is that your hairstyle should match your overall style. For example, you could look good with long hair, but if you rock a preppy style, it would fit. On the other hand, if you've got more of a rocker vibe, then a clean-cut Ivy League hairstyle would be out of place. So what's your overall style? How do you dress? What identity are you overall trying to portray. Once we know that we can give more tailored advice on what hairstyle you should have. Now, i will post what hairstyles i used to rock before letting my curls form. 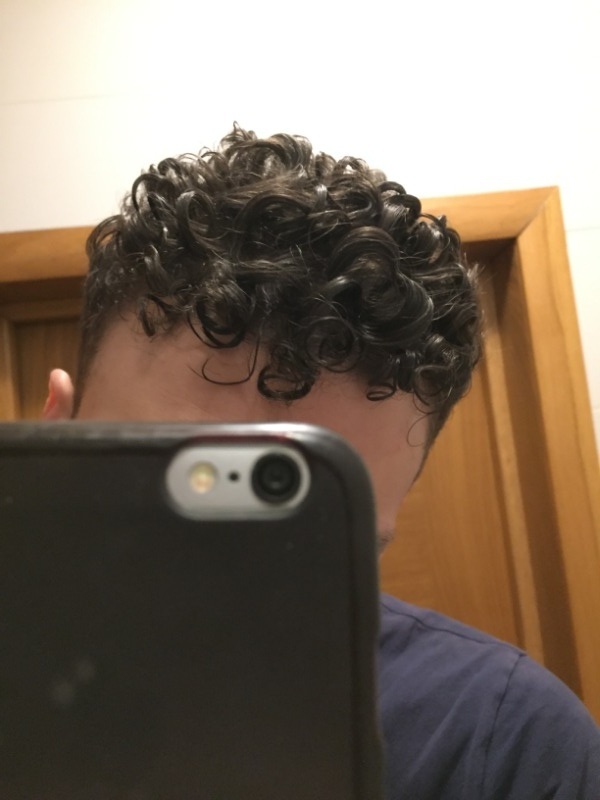 Is it better this way or with curls? Some ideas of hairstyles i want to try in future. What do you think, how they would suit me? Another thing, by looking at my photos, what first comes to your mind, what vibe and energy i give of? How do i radiate, so to speak?